I played the original game back in the day, but I admittedly didn’t go see the new movie interpretation. I did, however, get the above Lego Prince of Persia: The Sands of Time 7569 Desert Attack set for the minifigures included. It includes Dastan, his horse, two assassins, a scene with hidden jewels, scorpion, snake, and a (not pictured) skeleton that must have wandered off. 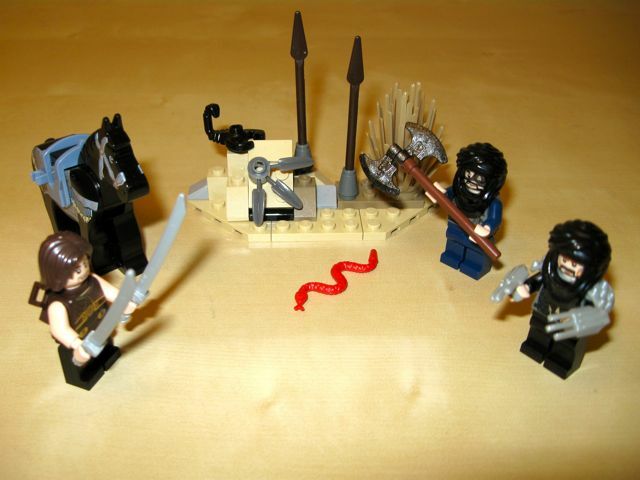 The best parts of the set are Dastan’s dual sword backpack, and the one assassin’s claws. It is a small set, but it provided a lot of exam preparation distraction time. Next Week-of-Lego post: Huge Lego Acquisition from North Canton!